The Valour Ball Pen or Pencil will surely become a favorite. It’s perfectly and purely simple. Make a statement. Take a break from your latest gadget and WRITE. The Valour will take you back to simpler times and is just the pen for those who believe that less is more. 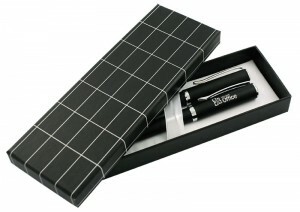 Black Lined Gift Box included in price of set.